No Money In Voice – Welcome 4G! As profits dwindle, telecom giants join forces at the Next Generation Telecom Summit to cash-in on the new 4G world. The last five years has seen unprecedented change in communications. The European consumer has a plethora of handset choices and packages. The average handset has evolved from the humble voice-box, to the total media centre. As a result thousands of start-up companies are profiting out of the sector’s advances, supplying the various add-ons which inevitably accompany any new wave of technology. Such innovations were used by the operators to supplement the pricey voice packages as values-add-ons. However, the operators are now finding themselves in the hands of the ever-creative software/hardware companies; they are having to include their own meal ticket – Voice minutes – within the set packages in order to build new custom, which is clearly hurting them. iPhone appstore and Nokia’s Ovi have been the first to take advantage and make millions from the operators’ customer, creating a financial redistribution within the mobile industry. With the telecom giants left to maintain the costly infrastructure that supports this ever growing new-media industry, the outlook for today’s communication service providers is set to get worse in a new 4G world where broadband is everywhere (LTE, WiMax, FTTX and cloud services). How can the giants sustain such costs and avoid being relegated to the sidelines as bit-pipe providers? Undeterred, the industry has decided to take action. Vodafone have announced the launch of their Appstore which will charge pay-monthly customers for all bought downloads. 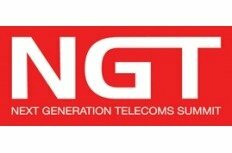 T-Mobile, Orange and many fixed line/mobile operators across Europe are set to follow suit and will be attending a meeting to discuss such technology strategy and new business models at the influential Next Generation Telecom (NGT) Summit in Portugal next month. Harri Koponen President and CEO of Tele2, Ugo Benzi, Global Chief Client Integration for Telecom Italia and Morten Karlsen Sorby, EVP & COO of Telenor Mobile are amongst 50 other visionary leaders to have confirmed attendance, and are set to take a lead in the debate to find a consensus in the new 4G world. They will be joined by impresarios such as Jens Backes, VP of Mobile Broadband for T-Mobile, Ger Coolen, CTO of Vodafone Netherlands, and Pierre Marin, Group IT COO for Orange. The European Telecom industry awaits with baited breath the results of the summit. Will this redistribution of wealth continue, or can the industry find a solution? If so, what kind of market and business transformation will this unleash?